William Claude Rains (10 November 1889 – 30 May 1967) was an English–American film and stage actor whose career spanned several decades. After his American film debut as Dr. Jack Griffin in The Invisible Man (1933) he appeared in classic films such as The Adventures of Robin Hood (1938), Mr. Smith Goes to Washington (1939), The Wolf Man (1941), Casablanca and Kings Row (both 1942), Notorious (1946), The Pied Piper of Hamelin (1957), and Lawrence of Arabia (1962). He was a Tony Award winning actor and was a four-time nominee for the Academy Award for Best Supporting Actor. Rains was considered to be "one of the screen's great character stars" who was, according to the All-Movie Guide, "at his best when playing cultured villains". During his lengthy career, he was greatly admired by many of his contemporaries, such as Bette Davis, Vincent Sherman, Ronald Neame and Albert Dekker, all of whom became close family friends. Rains also inspired many younger actors, such as John Gielgud, Charles Laughton and Richard Chamberlain. William Claude Rains was born on 10 November 1889 in Clapham, London. His parents were Emily Eliza (née Cox) and the stage actor Frederick William Rains. He lived in the slums of London, and, in his own words, on "the wrong side of the river Thames" Rains was one of twelve children, all but three dying of malnutrition when still infants. His mother took in boarders in order to support the family. According to his daughter, Jessica Rains, he grew up with "a very serious Cockney accent and a speech impediment" which took the form of a stutter, causing him to call himself "Willie Wains". His accent was so strong that his daughter could not understand a word he said when he used it to sing old Cockney songs to her or purposely used it to playfully annoy her. Rains left school after the second grade to sell papers so that he could bring the pennies and halfpennies home for his mother. He sang in the Palm Street Church choir, which also brought him a few pence to take home. Because his father was an actor, the young Rains would spend time in theatres and was surrounded by actors and stagehands. It was here where he could watch actors up close as well as the day-to-day running of a theatre. Rains made his stage debut at the age of 10 in the play Sweet Nell of Old Drury at the Haymarket Theatre, so that he could run around onstage as part of the production. He then slowly worked his way up in the theatre, becoming a call boy (telling actors when they were due on stage) at His Majesty's Theatre and later prompter, stage manager, understudy, and then moving on from smaller parts with good reviews to larger, better parts. 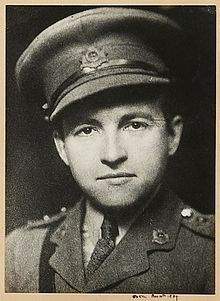 Rains decided to go to America in 1913 due to the opportunities that were being offered in the New York theatres; but with the outbreak of World War I the following year, he returned to England to serve in the London Scottish Regiment, alongside fellow actors Basil Rathbone, Ronald Colman, and Herbert Marshall. At one time, he was involved in a gas attack which resulted in his losing 90 percent of the vision in his right eye permanently. By the end of the war, he had risen from the rank of private to that of captain. After the war ended, Rains remained in England, where he continued to develop his acting talents. These talents were recognised by Sir Herbert Beerbohm Tree, the founder of the Royal Academy of Dramatic Art. Tree told Rains that in order to succeed as an actor he would have to get rid of his Cockney accent and speech impediment. With this in mind, Tree paid for the elocution books and lessons that Rains needed to help him change his voice. Rains eventually shed his accent and speech impediment after practicing every day. His daughter Jessica, when describing her father's voice, said, "The interesting thing to me was that he became a different person. He became a very elegant man, with a really extraordinary Mid-Atlantic accent. It was 'his' voice, nobody else spoke like that, half American, half English and a little Cockney thrown in." Jessica Rains speaks of this in the interview on Universal Studio's 2004 DVD release of Phantom of the Opera, recorded in 2000. Soon after changing his accent he became recognised as one of the leading stage actors in London. At the age of 29, he played the role of Clarkis in his one (and only) silent film, a British film titled Build Thy House (1920). Rains began his career in London theatre, achieving success in the title role of John Drinkwater's play Ulysses S. Grant, the follow-up to the same playwright's Abraham Lincoln. 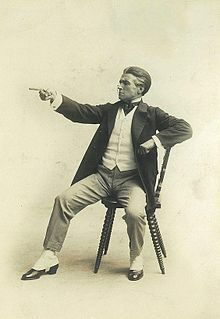 He also portrayed Faulkland in Richard Brinsley Sheridan's The Rivals, presented at London's Lyric Theatre in 1925. Rains returned to New York in 1927 to appear in what would be nearly 20 Broadway roles. He moved to Broadway in the late 1920s to act in leading roles in such plays as George Bernard Shaw's The Apple Cart and the dramatisations of The Constant Nymph and Pearl S. Buck's novel The Good Earth (as a Chinese farmer). Although he had played the single supporting role in the silent, Build Thy House (1920), Rains came relatively late to film acting and while working for the Theatre Guild, he was offered a screen test with Universal Pictures in 1932. His screen test for A Bill of Divorcement (1932) for a New York representative of RKO was a failure but, according to some accounts, led to his being cast in the title role of James Whale's The Invisible Man (1933) after his screen test and unique voice was inadvertently overheard from the next room. His agent, Harold Freedman, was a family friend of Carl Laemmle, who controlled Universal Studios at the time, and had been acquainted with Rains in London and was keen to cast him in the role. According to Rains' daughter, this was the only film of his he ever saw. He also did not go to see the rushes of the day's filming "because he told me, every time he went he was horrified by his huge face on the huge screen, that he just never went back again." Rains signed a long term contract with Warner Bros. on 27 November 1935 with Warner able to exercise the right to loan him to other studios and Rains having a potential income of up to $750,000 over 7 years. He played the villainous role of Prince John in The Adventures of Robin Hood (1938). Roddy McDowall once asked Rains if he had intentionally lampooned Bette Davis in his performance as Prince John, and Rains' only reply was "an enigmatic smile." Rains later revealed to his daughter that he'd enjoyed playing the prince as a homosexual, by using subtle mannerisms. 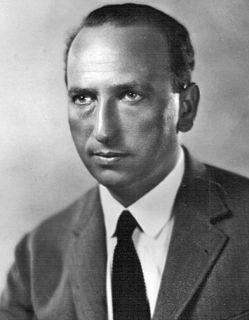 Rains later credited the film's co-director Michael Curtiz with teaching him the more understated requirements of film acting, or "what not to do in front of a camera." On loan to Columbia Pictures, he portrayed a corrupt U.S. senator in Mr. Smith Goes to Washington (1939) for which he received his first Academy Award nomination as Best Supporting Actor. For his home studio, Warner Bros, he played the murderer, Dr. Alexander Tower, in Kings Row (1942) and the cynical police chief Captain Renault in Casablanca (also 1942). On loan again, Rains played the title character in Universal's remake of Phantom of the Opera (1943). In her 1987 memoir, This 'N That, Bette Davis revealed that Rains (with whom she shared the screen four times in Juarez, Now, Voyager, Mr. Skeffington, and Deception) was her favorite co-star. Rains became the first actor to receive a million-dollar salary when he portrayed Julius Caesar in a large budget but unsuccessful version of Shaw's Caesar and Cleopatra (1945), filmed in Britain. Shaw apparently chose him for the part, although Rains intensely disliked Gabriel Pascal, the film's director and producer. Rains followed it with Alfred Hitchcock's Notorious (1946) as a refugee Nazi agent opposite Cary Grant and Ingrid Bergman. Back in Britain, he appeared in David Lean's The Passionate Friends (1949). He was interested in the process (of film). He loved acting. When he came to California to do a film, I had to "hear him his lines" as he drove me to school every morning, 10 miles. He knew everybody's part. He knew the whole script before he came out (to film). I don't think many people did that. Well, of course he petrified me. The first time I played with him was in Carlotta (Juarez), and I had to make an entrance [into] the King of France's domain for a rehearsal, and he's playing the King of France (Napoleon III) in rehearsal. As all of us "other era people," we don't just run through lines and say "turn the camera", we rehearse beforehand...Anyway Claude and I couldn't, and he was the King of France who loathed Carlotta, and I was a kid and petrified of Mr. Rains, so I thought he hated me. I didn't know he was playing the character. I thought, he thinks I just stink! What am I going to do? Eventually we worked together quite a lot and became really great friends, really great friends. Davis later went on to describe him: "Claude was witty, amusing and beautiful, really beautiful, thoroughly enchanting to be with and brilliant." She also praised his performances: "He was marvelous in Deception and was worth the whole thing as the picture wasn't terribly good, but he was so marvelous and the restaurant scene where he's talking about all the food...brilliant, and of course in Mr. Skeffington he was absolutely brilliant as the husband, just brilliant." Claude Rains has to be considered one of the finest actors of the 20th century. As soon as you hear that marvelous, unmistakable voice of honey mixed with gravel, he becomes instantly recognizable. And that scornful right eyebrow which could freeze an adversary faster than and more effectively than any physical threat. He stood at a mere 5'6", yet his enormous talent and immense stage presence made him a giant among his colleagues. During a stage and film career that spanned six decades, Rains encompassed some of the most memorable and exciting characters ever created by an actor. Villains were a Rains specialty, particularly those of a suave and sarcastic nature; and yet when the role called for it, Rains could be remarkably moving and even add a touch of pathos without losing any of his effectiveness. He was in his seventies then and in failing health, yet he was charming and totally professional on the set. It was clear to us that he loved practicing his craft; he dazzled us all. Claude was an extremely private man--he never discussed his humble beginnings, his six marriages. But get him into a conversation about acting, and he opened up with delightful anecdotes and fascinating stories about his long life as a thespian. One day on the set I mentioned to him that 'Notorious' was one of my favorite films, and Claude related with amusement the filming of a particular scene with Ingrid Bergman. Rains was a very small man and Bergman was quite tall, so in order to shoot them in close-up together (in the key scene) the resourceful Alfred Hitchcock had a ramp installed, so as Rains approaches Bergman on camera he appears taller than his co-star. Claude found this ramp business a bit embarrassing and very funny. I got another taste of Claude's witty nature shooting a scene in his [next-to-last] film, in which he had a long piece of dialogue. Generally he had no problem remembering his lines despite getting along in years. However, there was one particularly long scene shot late at night where he was having a lot of trouble with the dialogue, and kept making excuses. And finally he paused and said with a sheepish look "Alibi Ike, good old Alibi Ike" ("Alibi Ike" being an expression based on a 1935 film of the same name, in which the lead character has a penchant for making up excuses). Of course in the finished film he played the scene flawlessly, as he always did. Claude Rains: truly a class act, on and off screen. Many years later, after Rains had gone to Hollywood and become a well-known film actor, John Gielgud is reputed to have commented, "He was a great influence on me. I don't know what happened to him. I think he failed and went to America." However, Gielgud later went on to recollect a time when he was in New York and in the audience during an event that included a focus on Bette Davis. A number of clips from many of her most successful films were shown and I was particularly delighted, when, as soon as Claude Rains appeared in the close-up of one of the clips, the whole audience burst into a great wave of applause. Bette Davis often cited Rains as one of her favorite actors and colleagues. Gielgud commented that he once wrote that "The London stage suffered a great loss when Claude Rains deserted it for motion pictures", but he later went on to say, "but when I see him now on the screen and remember him, I must admit that the London stage's loss was the cinema's gain. And the striking virtuosity that I witnessed as a young actor is now there for audiences everywhere to see for all time. I'm so glad of that." He acquired the 380-acre (1.5 km2) Stock Grange Farm, built in 1747 in West Bradford Township, Pennsylvania (just outside Coatesville), in 1941. The farm became one of the "great prides" of his life. Here, he became a "gentleman farmer" and could relax and enjoy farming life with his then wife (Frances) churning the butter, their daughter collecting the eggs, with Rains himself ploughing the fields and cultivating the vegetable garden. He spent much of his time between film takes reading up on agricultural techniques to try when he got home. He sold the farm when his marriage to Propper ended in 1956; the building now, as then, is still referred to by locals as "Rains' Place". Rains spent his final years in Sandwich, New Hampshire. In his final years, Rains decided to write his memoirs and engaged the help of journalist Jonathan Root to assist him. Rains' declining health delayed their completion and with Root's death in March 1967 the project was never completed. Rains died from an abdominal hemorrhage in Laconia on 30 May 1967, aged 77. His daughter said, "And, just like most actors, he died waiting for his agent to call." He was buried at the Red Hill Cemetery in Moultonborough, New Hampshire. He designed his own tombstone which reads "All things once, Are things forever, Soul, once living, lives forever". In 2010, many of Rains' personal effects were put into an auction at Heritage Auctions, including his 1951 Tony award, rare posters, letters and photographs. Also included in the auction were many volumes of his private leather-bound scrapbooks which contained many of his press cuttings and reviews from the beginning of his career. The majority of the items were used to help David J. Skal write his book on Rains, An Actor's Voice. In 2011, the ivory military uniform (complete with medals) he wore as Captain Renault in Casablanca was put up for auction when noted actress and film historian Debbie Reynolds sold her collection of Hollywood costumes and memorabilia which she had amassed as a result of the 1970 MGM auction. 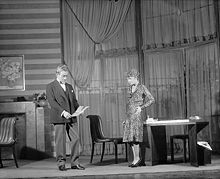 In 1951, Rains won a Tony Award for Best Performance by a Leading Actor in a Play for Darkness at Noon as well as the Delia Austrian medal for the same production. He was nominated for the Academy Award for Best Supporting Actor on four occasions: for Mr. Smith Goes to Washington (1939), Casablanca (1943), Mr. Skeffington (1944) and Notorious (1946). Rains was awarded a Star on the Hollywood Walk of Fame at 6400 Hollywood Boulevard on February 8, 1960. In the television series Heroes the character portrayed by Christopher Eccleston does not reveal his real name and uses the alias 'Claude Rains' due to his ability to turn himself, any personal objects he touches, and other people invisible; his alias is an obvious homage to Rains who played The Invisible Man. Rains starred in multiple plays and productions over the course of his career, playing a variety of leading and supporting parts. As his film career began to flourish, he found less time to perform in the theatre in both England and America. ^ Erickson, Hal. "Claude Rains". The New York Times/All-Movie Guide. Retrieved 30 December 2015. ^ "International Stars at War". google.com. ^ a b Harmetz p. 147. ^ "The Sublime Claude Rains". meredy.com. Retrieved 12 May 2010. ^ Default Admin User. "Welcome to The London Scottish Regiment Website". londonscottishregt.org. Archived from the original on 12 April 2007. ^ Hastings, Max (2013). Catastrophe: Europe Goes to War 1914. William Collins. p. 486. ISBN 978-0-007-51974-3. 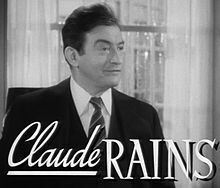 ^ "Remembering Claude Rains". Den of Geek. ^ Davis and Herskowitz 1987, p. 26. ^ "The Jeffersonian Heritage," Broadcasting-Telecasting, 8 September 1952, 36 (trade advertisement). ^ "John Gielgud - Quotes - IMDb". imdb.com. ^ "Claude Rains' Scrapbook Devoted to His Farm, Stock - Lot #49362 - Heritage Auctions". Heritage Auctions. ^ "Thinking about Claude Rains and the pastoral Stock Grange Farm". ^ Duckler, Ray (31 March 2012). 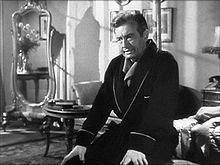 "A Star's Last Act: The great Claude Rains spent his final years in New Hampshire". Concord Monitor. Archived from the original on 13 September 2013. Retrieved 13 September 2013. ^ Schickel, Richard (20 November 2008). "Rains was never a minor character" – via LA Times. ^ T. Soister, John (19 July 2017). Claude Rains: A Comprehensive Illustrated to His Work in Film, Stage, Radio, Television and Recordings. ^ "Claude Rains "Captain Louis Renault" ivory military suit from Casablanca". iCollector.com Online Auctions. ^ "Claude Rains - David And Goliath". John T. Soister and JoAnna Wioskowski, Claude Rains: A Comprehensive Illustrated Reference to His Work in Film, Stage, Radio, Television and Recordings McFarland & Co, 1996). Claude Rains: An Actor's Voice, a biography by David J. Skal and Rains' daughter Jessica - published 2008. The Life and Times of Claude Rains, a biography by Carmella Felice, published 2006. This book was panned by most critics and reviewers. Sir Arthur John Gielgud, OM, CH was an English actor and theatre director whose career spanned eight decades, and who, along with his contemporaries Peggy Ashcroft, Laurence Olivier, and Ralph Richardson, dominated the British stage of much of the 20th century. A member of the Terry family theatrical dynasty, he gained his first paid acting work as a junior member of his cousin Phyllis Neilson-Terry's company in 1922. After studying at the Royal Academy of Dramatic Art he worked in repertory theatre and in the West End before establishing himself at the Old Vic as an exponent of Shakespeare in 1929–31. Mr. Skeffington is a 1944 American drama film directed by Vincent Sherman, based on the novel of the same name by Elizabeth von Arnim. The Private Lives of Elizabeth and Essex is a 1939 American historical romantic drama film directed by Michael Curtiz and starring Bette Davis, Errol Flynn, and Olivia de Havilland. Based on the play Elizabeth the Queen by Maxwell Anderson—which had a successful run on Broadway with Lynn Fontanne and Alfred Lunt in the lead roles—the film fictionalizes the historical relationship between Queen Elizabeth I and Robert Devereux, 2nd Earl of Essex. The screenplay was written by Norman Reilly Raine and Aeneas MacKenzie. Deception is a 1946 movie released by Warner Brothers, and directed by Irving Rapper. The film is based on the play Monsieur Lamberthier by Louis Verneuil. The screenplay was written by John Collier and Joseph Than. It stars Bette Davis, Paul Henreid, and Claude Rains who had also appeared together in the highly successful Now, Voyager (1942). 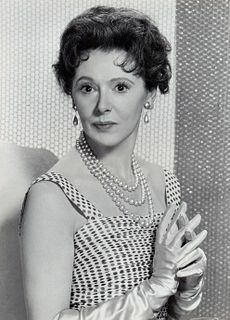 Isabel Jeans was an English stage and film actress known for her roles in several Alfred Hitchcock films and her portrayal of Aunt Alicia in the 1958 musical film Gigi, among others. The Man Who Came to Dinner is a 1942 American comedy film directed by William Keighley, and starring Bette Davis, Ann Sheridan and Monty Woolley as the title character. 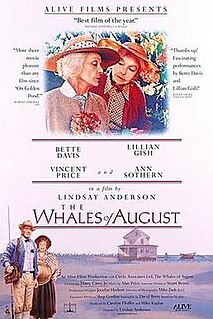 The screenplay by Julius and Philip G. Epstein is based on the 1939 play The Man Who Came to Dinner by Moss Hart and George S. Kaufman. The supporting cast features Jimmy Durante and Billie Burke.